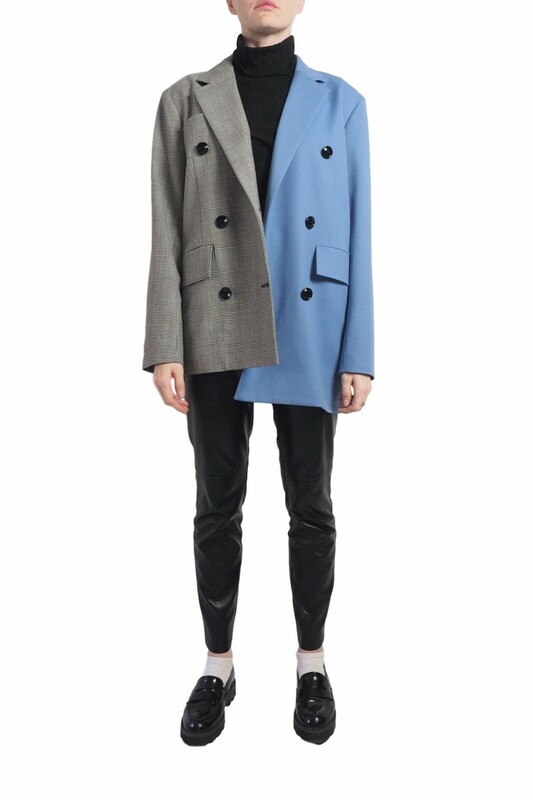 Asymmetric jacket inspired by the classic men jacket silhouette. 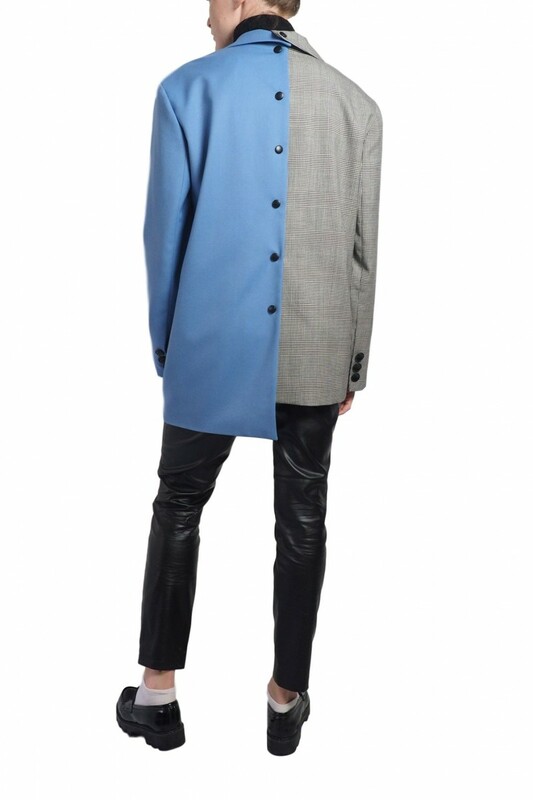 Sides can be unbuttonned and separated, so you can pick sides of any color to create unique piece for your own. You can choose one of the pre-made designs from our online shop or you can request desirable colour combination via e-mail yanabesfamilnayaofficial@gmail.com and we will gladly fulfill your order. Care instruction Do not wash. Do not tumble dry. Steaming and warm ironing. Dry clean. 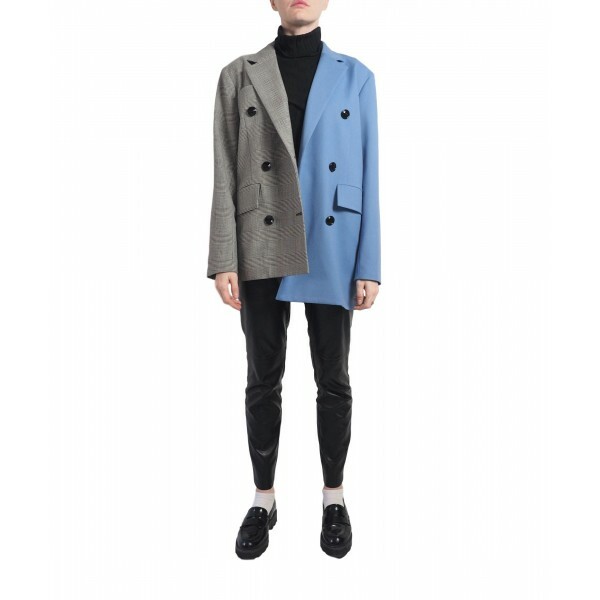 Woolen asymmetric jacket inspired by the classic men jacket silhouette. Sides can be unbuttonned an..